This 120 foot long Oktoberfest pennant banner is made of tough PVC plastic so you can use it indoors or outside. 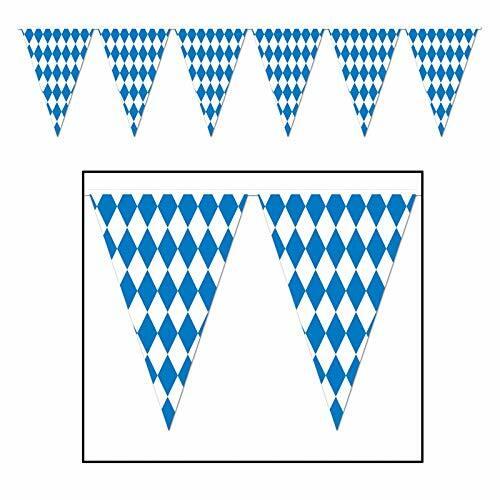 The Bavarian check pennant banner is the perfect item to decorate your "Biergarten" for any Oktoberfest or Bavarian beer party. The pennants are versatile as they can be tied, taped or stapled virtually anywhere in need of some Oktoberfest decorating.